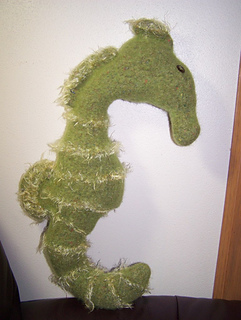 Knit from tail to snout, the Felted Seahorse is knitted in one piece. 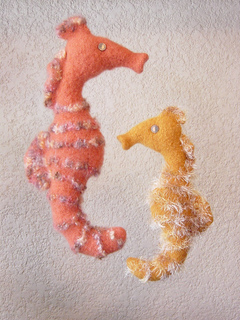 The body is worked in a main color wool with ridges in novelty yarn for texture. Fins are picked up and knit on to the body.